Chickpeas are a staple in a vegan’s kitchen cupboard. They’re versatile, packed with protein, high in fibre and enable us to produce a multitude of plant-based dishes full of nutrients and flavour. From falafel, to houmous, burgers and curry- the Middle Eastern legume’s uses are endless and delicious. 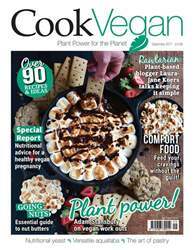 But following a few of the latest cookbook launches and many food bloggers sharing dishes featuring an unknown white and whippy foam, it’s no longer the bean part of the chickpea that is getting the vegan society inspired in the kitchen. May we introduce you to ‘Aquafaba’, pronounced (Ak-wah-far-ba). 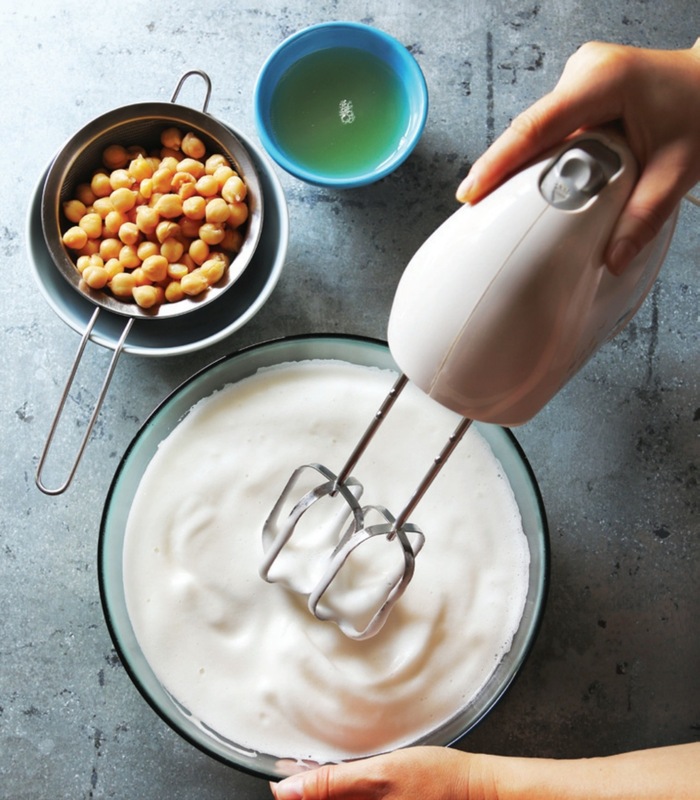 With an appearance similar to extra thick cream, Aquafaba is made from whipping up chickpea’s brine (aka the unappetising chickpea juice you usually dispose of down the drain) and has been making its way on to many vegan and wellness menus. Why? Well, it turns out the legume’s water isn’t waste but an exceptional egg substitute. Whilst the white fluffy substance fails to contain a third of the protein egg has, it provides only 3 calories per tablespoon. Plus, it’s an anticipated alternative that will solve a lot of vegan baking issues. All you need to do is chuck the chickpea brine in the blender instead of the sink and blitz for 5-10 minutes until the mixture forms a whipped white consistency. And then, it’s time to decide how you’d like to use it. From marshmallow fluff, to brownies, macaroons, waffles, meringue, cookies, cupcakes and even mayo — can you find anything aquafaba can’t do? Make sure when you are making these that you follow the instructions closely. You will need an accurate digital kitchen scale that weighs small amounts to make this recipe a success.